Open educational practises (OEP) generally include the use of Open Educational Resources (OER) and are usually free to access, open licensed documents and media that are useful for teaching, learning, assessment and research. The exact definition varies, but the concept of opening out education is increasingly popular with the UK government investing £15m on open resource projects since 2009 (Jisc, 2013). One of these projects is Jorum, a resource based at Manchester University allowing people to freely share learning and teaching resources. An example at Salford is USIR our open paper repository, I use this to share my papers with the world and look for other useful papers. I have recently been working on our first Massive Open Online Course (MOOC) in Search and social media marketing using YouTube, Twitter and web pages. The term MOOC is relatively new, but the concept of massive, distance and open courses has a long history. For example, print has been used for many years as a first generation of distance learning. TV and radio has been used to deliver free and open learning as part of a second generation (Anderson, 2012 p.3). I have been attending and developing distance web based distance learning courses since the latter 1990’s. Some of these are free and open and others, specific to an organisation or paid for. Web 2.0, the rise of social media and better and faster computers and broadband speeds have further enabled participation in open courses via the web featuring multimedia content and collaborative tools and led to the Massive participation of MOOC’s (MIT, 2013). The recent launch of the UK’s first MOOC platform Futurelearn is a signifier of intent for MOOC’s in UK HE. Futurelearn was started by the Open University with 20 other Universities. 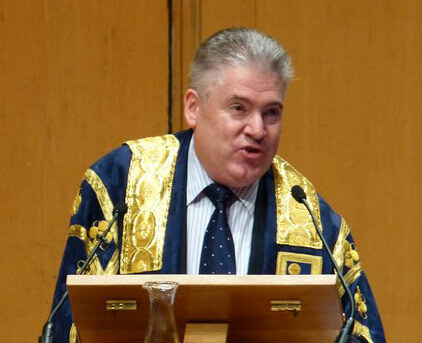 Previously, VC of the OU Martin Bean commented that we ‘cannot make buildings fast enough to meet the worldwide demand for education’ (Morgan, 2013). The technology we have combined with an open approach means that MOOC’s can help to meet this demand. This could be further bolstered by the announcement of the Janet6 network to deliver more data, faster. Martin Bean, © Copyright Andy Farrington, Creative Commons Licence. Our continued employment at our organisation and its existence currently hinges on our students paying their fees, so the question that arises about open educational practises is, what is the business model? (DBIS, 2013). In our case, we run Masters courses and CPD courses which contain face to face sessions, tutor support and access to equipment and expertise. By ‘giving away’ our content to the masses, will this impact on the sustainability of our organisation? In our case, our search and social media marketing MOOC is offered mainly as a set of videos and activities with no official tutor support. The MOOC has been quite popular around the world so far and has been an important source of traffic to our Business School website. From a marketing perspective, this may ultimately lead to more people attending our paid for courses. Time will tell. 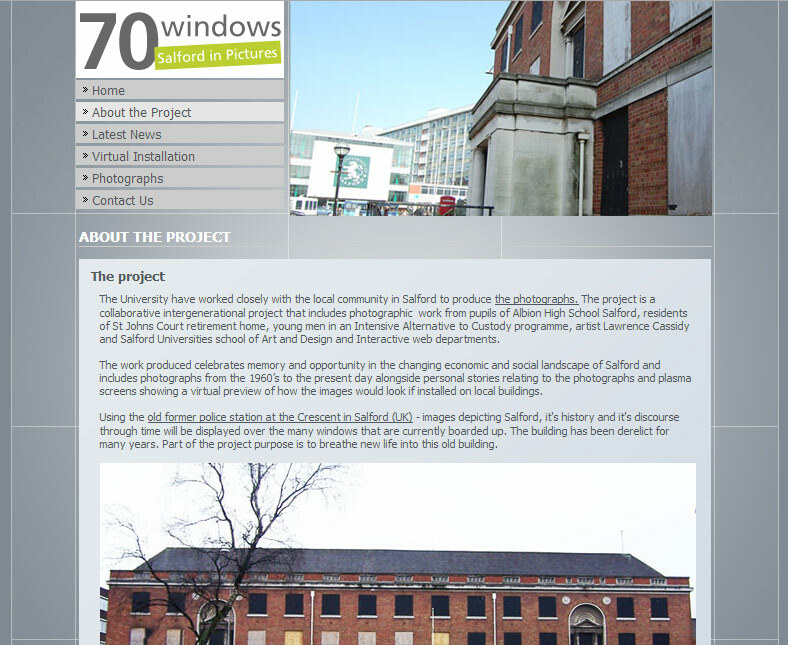 70 Windows is one of the open education projects I have worked on. OEP’s have the potential to reach out to people in groups that may have a physical or social reason not to attend our traditional face to face courses. I had the fortune to attend a focus group recently on this subject at the University featuring several members of local community groups. The message from these groups was that there is a real lack of access to technology and barriers to University for the disadvantaged in Salford. Could we as an organisation be doing more to reach out to people that could not typically come and study at a University? This is certainly on the agenda of the University and has an integral connection to the all of the UKPSF (2012) professional values v1 – v4. Many of the open resources we have so far are aimed at the kind of people that already have access to the technology and have time to study. I have been involved in several projects to try and engage these audiences and community groups. We are certainly moving in the right direction for UK HE to do more to use open educational practises to bring teaching and learning to a wider audience. Anderson, B., & Simpson, M. (2012). History and heritage in open, flexible, and distance education. Journal of Open, Flexible and Distance Learning. How important are online reviews? Alex Fenton is a lecturer in digital business and award winning digital developer and trainer, running courses at MediaCityUK, University of Salford. This site is devoted to digital technology for Learning,Teaching,marketing and fun!. Read More..